Rowdy Rathore 2: Akshay Kumar Fans! Can This Get Any Better? While Rowdy Rathore 2 is yet to begin rolling, she is set to debut as a producer on the small screen with Zindagi Ke Crossroads. The script of the much-awaited sequel to Akshay Kumar-starrer Rowdy Rathore is ready. It just needs to be approved by filmmaker Sanjay Leela Bhansali who is co-producing the film, says Shabina Khan. There have been talks about the sequel to the action-comedy film since it became a blockbuster in 2012. 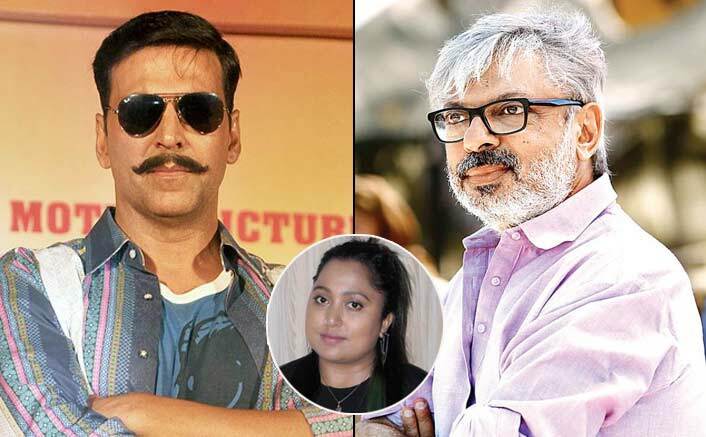 While Rowdy Rathore 2 is yet to begin rolling, she is set to debut as a producer on the small screen with Zindagi Ke Crossroads, which will premiere on Sony Entertainment Television on June 6. “It took two years. It is a very difficult show,” she said. Zindagi Ke Crossroads, to be hosted by actor Ram Kapoor, will present a new narrative every episode. The crossroads faced by the protagonists will be open for discussion to a set of studio audience. As a producer, Khan has backed three films, including Rowdy Rathore. It’s been 25 years, since she started doing costume designing. What made her take up a TV show? “I loved the concept. If you want to stand out, you have to do something different. That’s what I am trying,” she said. “I will (do more TV shows) but I will do things which… my funda in life is that I want to do things which I will enjoy watching too. Even while making ‘Rowdy…’, my first film, I thought that I would have given Rs 500 to buy a ticket to watch that film,” she added. The show, which brings together fiction and non-fiction formats together, is nothing short of a film. “If you watch the show, you will realise that we have made 39 films. So, I have not changed my arena. It (TV) is just another medium. Every episode has been made like a movie. The music is by Amar Mohile, the editing is by Rajesh Pandey who has done films like ‘Padmaavat’ and ‘Bajirao Mastani’. So, my whole team is of films,” said Khan. The stories revolve around an expecting mother, a cheating husband, a nagging wife, a divorced couple, live-in relationships and more. “I don’t see any difference (between film and TV mediums). For me, any kind of medium, be it film, TV, web or theatre, all you have to do is to entertain,” she said.